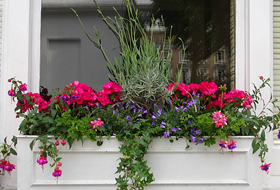 Specialists in individually designed, filled window boxes, patio pots, hanging baskets and entrance pots for the balcony, terrace or garden. 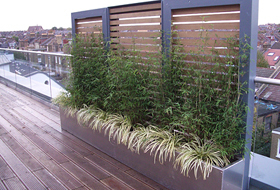 Servicing clients in and around Central London, we will also fill your own containers on-site. Offering a year round service. 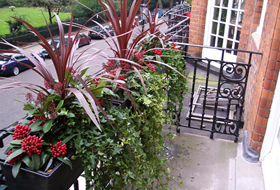 Choose from evergreen plants or seasonal flowers and herb arrangements make a tasty alternative. Plants and flowers make a home or office more inviting while also helping to enhance value when letting or selling your property. Visit the testimonials page to read what many of the satisfied clients have to say about our service. 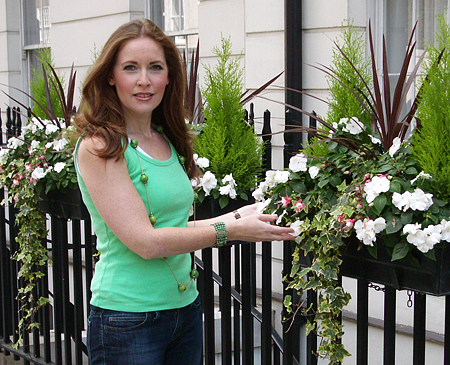 Martine has featured in both national and local newspapers and magazines. Articles appear on our press page.